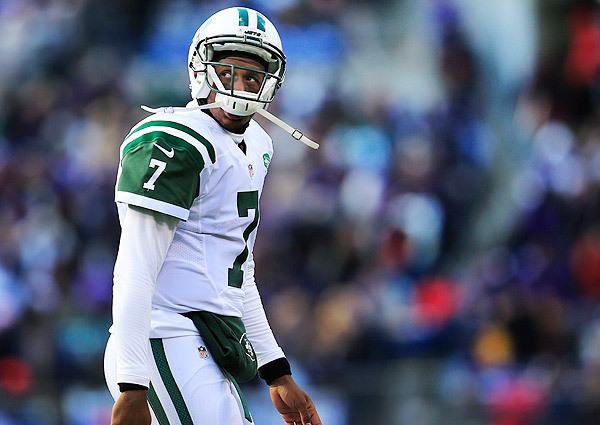 Despite Geno Smith’s benching against the Dolphins, it isn’t his fault that the Jets offense has been a disaster. There are many reasons why Geno Smith has struggled in 2013 and why it’s the New York Jets fault that the rookie has looked lost in recent weeks. 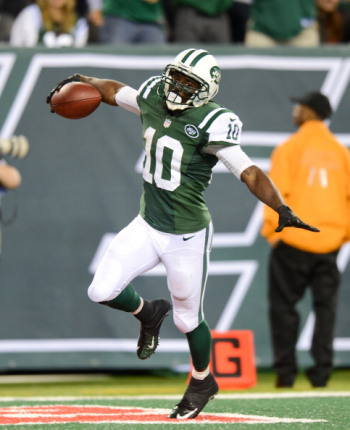 Receivers: Quick question, who is an NFL caliber receiver on the New York Jets? I’d be hard pressed to name one. Geno’s struggles began when Jeremy Kerley was injured a few weeks ago. Without question Kerley has been the Jets best and most consistent receiver this season. The problem? At best he’s a great slot receiver. He is not a number one or two target in the NFL. Stephen Hill? I think I saw his picture on a milk carton because he has been disappeared for over a month. Holmes? He can’t stay healthy and has lacked the big play ability that the Jets are overpaying him for. I think this is one Jet who won’ t be back in 2014. Salas and Nelson? Not even NFL scouts know who they are. While Geno has been inaccurate, it’s not like his receivers have done him any favors. Without question the Jets have the worst group of receivers in the NFL. Any NFL rookie quarterback needs a security blanket. Enter the tight end whose size and presence in the middle of the field allows for an easy check down for a rookie quarterback. The Jets tight ends have been big problems instead of big targets. Kellen Winslow missed four games due to a suspension and has continued to prove why he’s a first round bust. Cumberland has been solid, but is a number two tight end at best. Mini Gronk? No impact. If anything this position has hurt Geno’s development. With a lack of weapons on the outside Geno looks to the middle of the field for check downs to his tight ends. However, they are never open. Even Sanchez had Dustin Keller to check down to. Geno on the other hand just has a bunch of cast-offs who shouldn’t be on this team next year. Running Game: In Mark Sanchez’s first few seasons he had some of the better running backs in the league. Geno Smith, not so much. While Powell and Ivory have had a few good performances this year, their inconsistency and inability to break big runs and run the ball effective early in the game has hurt the Jets. Oh, and to Marty Mornhinweg STOP RUNNING THE WILDCAT! No body does this anymore, it doesn’t work, and you never throw out of it. Stop! While Ivory and Powell have shown flashes, they are not every down backs. As number two backs the would be great, but the Jets lack a home run hitting number one back. Without a solid running game, the Jets haven’t helped Smith get into more manageable situations and allow him to utilize the play action pass. 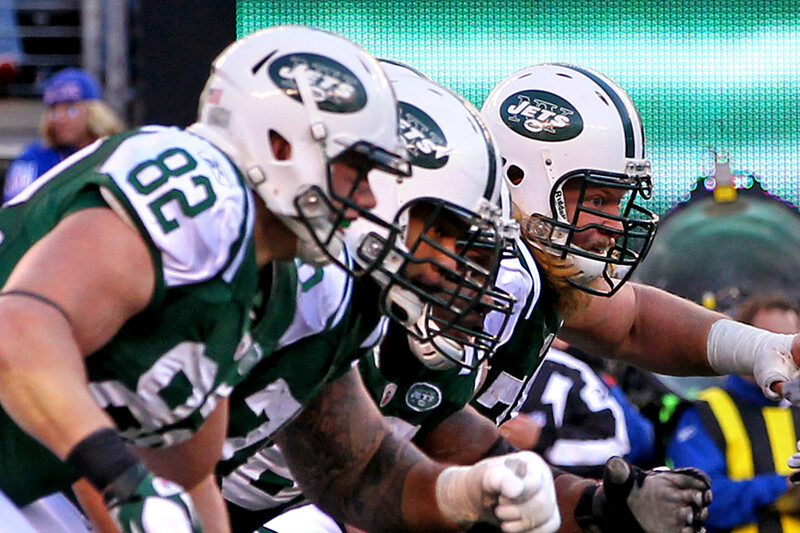 Offensive line: In recent weeks the once vaunted Jets offensive line has been manhandled. Pro Bowlers Nick Mangold and D’Brickashaw Ferguson have looked like shells of their former selves, while rookie Brian Winters has struggled to pick up blitzes and Willie Colon continues to get dumb penalties. Geno Smith has been getting killed these past few weeks and I can’t even remember a play when he had time to throw. As a young quarterback when your under pressure every drop back, your thinking about survival not throwing a 15 yard post. While the pass protection has been brutal, the run blocking hasn’t helped either. They can’t protect or create holes in the running game. You can’t have a shaky foundation and expect to have a productive offense. A GM that left his future quarterback out to dry. 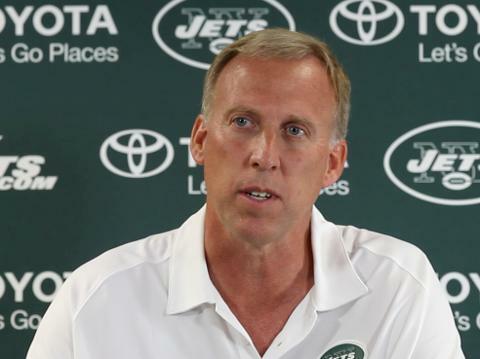 Front Office: Ok, I know John Idzik didn’t have a lot of cap room to bring in free agents. I’ll give him a pass on that, but I can’t forgive the man for his first draft. While Sheldon Richardson has been great, this draft did little if nothing to help Geno Smith. 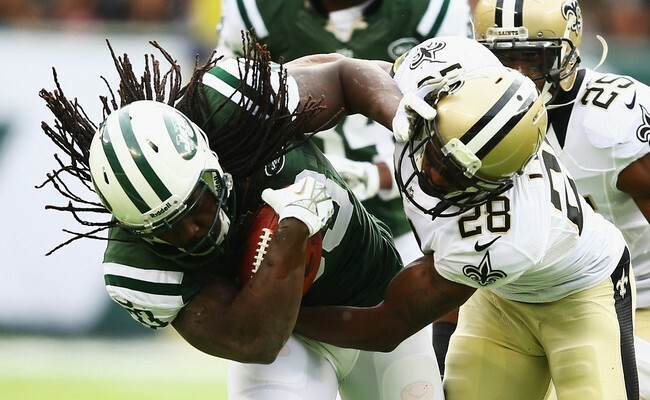 With the ninth pick, instead of picking the frustrating Dee Milliner, the Jets had better options. They could have drafted a tight end, or one of the interior linemen like Warmack or Long to solidify the offensive line. Then in the third round they could have drafted Keenan Allen or Terrance Williams at receiver instead of Brian Winters. With a crucial draft, Idzik didn’t exactly help out his young QB and instead focused on three offensive linemen how haven’t panned out. Coaching: Rex Ryan knows defense. Developing a quarterback, not so much. While Marty Morninweg is the offensive coordinator, it is Rex’s job as the head coach to get the offense going. Instead of playing to Geno’s strengths by rolling him out of the pocket, or having him in the shot-gun with spread wide receivers, the Jets keep calling plays that make you scratch your head. Instead of trying to get Geno going early with quick passes or screens, the Jets keep running the ball for marginal gains. 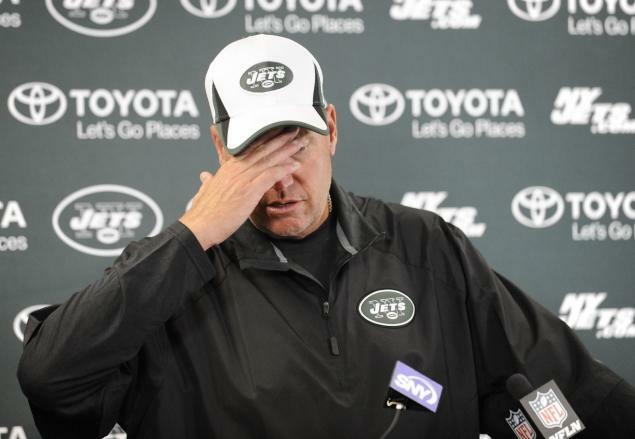 Then when they fall behind they put Geno Smith in passing situations when he hasn’t even gotten into a rhythm. I;m not say throw the ball fifty times, but get Geno going early so that he gets a rhythm going in the game. Conclusion: While Smith deserves a certain amount of blame, he is getting an unfair amount. This has been the perfect storm of futility. I don’t care if your Manning, Brees, Brady, or Rodgers, you couldn’t have success with this offensive personnel. The fact that Geno has five wins with this lackluster cast should get him some praise. However, with the offensive futility continuing in New York, and Jets nation waiting for a long overdue franchise quarterback, Geno Smith has been put in an almost no win situation. Keep him in to get reps this season and to develop. But he’s going to succeed, the man needs help. It’s just a matter of when or if the Jets will give him the pieces he needs to be an effective NFL quarterback.